Modernist Cuisine, New Cookery, Molecular Gastronomy – whatever you want to call it, one thing that seems elusive is actually doing it yourself at home. Although there are forums and kits available, actually putting it all together by yourself can be quite a challenge. So why not find some others who are interested in doing it as well? That’s what happened in February of this year in Seattle when myself, Scott Heimendinger and Eric Rivera founded Jet City Gastrophysics, dedicated to exploring the new techniques, flavors and textures of the contemporary food scene. So we’ve pooled together our collective brains, tools and passion, and have been making the stuff that we see in $300 cookbooks and Iron Chef made on $1000 machines. But at home in our small, normal kitchens. For way cheaper. 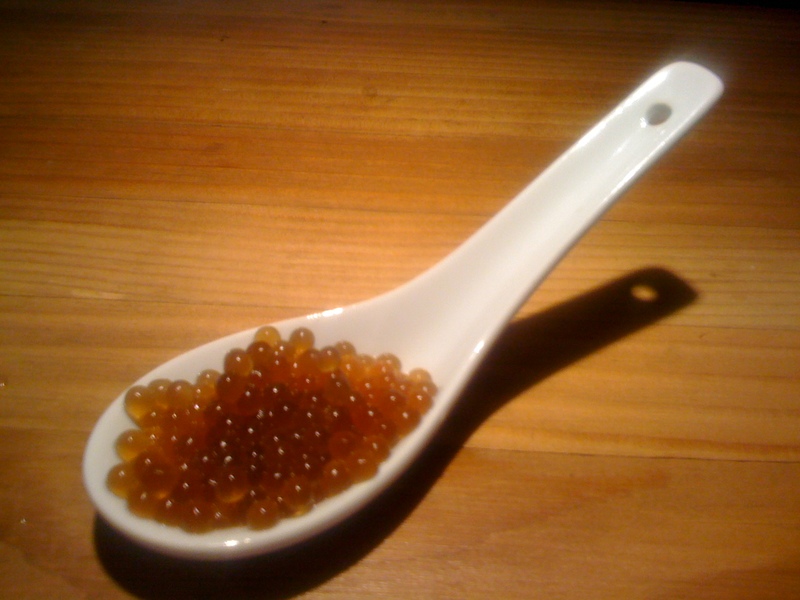 I made this coffee caviar - at home! We couldn’t agree more. So I hope you join us on our journey and learn along with us! Jethro! What a great post! Looking forward to reading about many more gastro adventures! By the way – how did the coffee caviar taste? Did it work out the way you expected? It definitely could be improved, and with a little practice, it will be an awesome dessert topping!